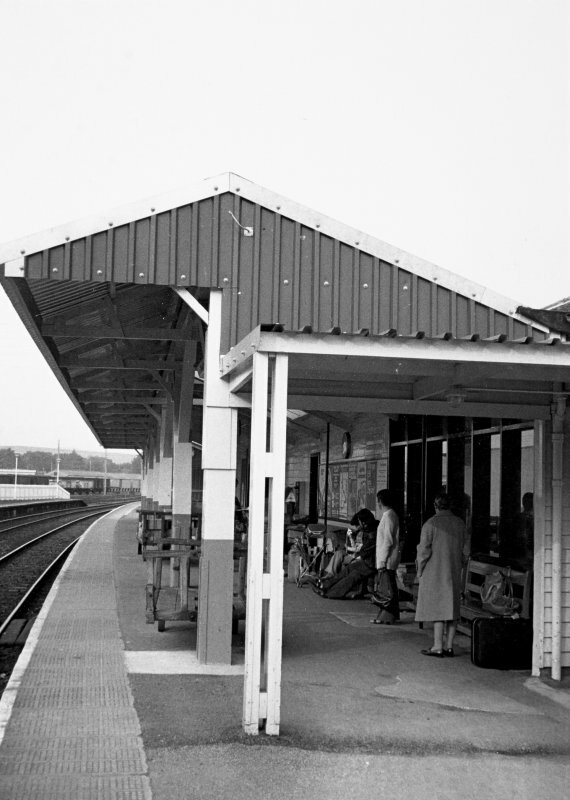 General view of canopy over waiting area on platform. Elevated view of canopy over waiting area on platform. 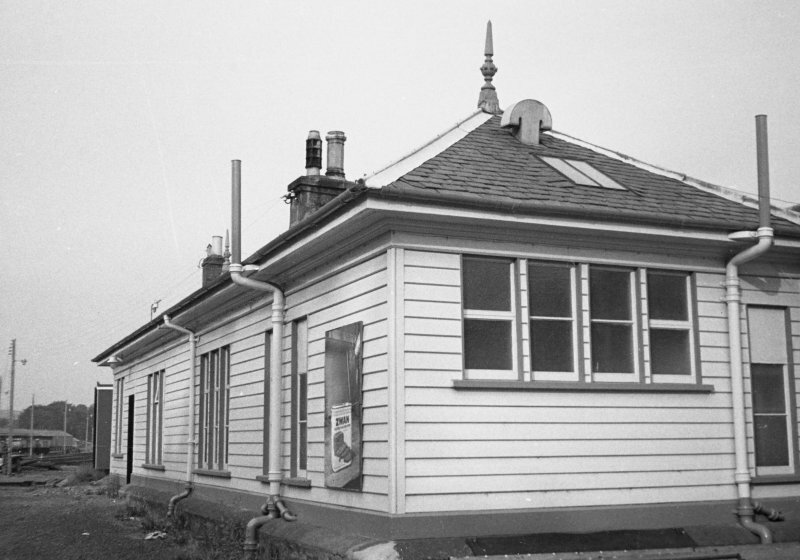 View of new Huntly Station. Huntly Station, 1854, Alexander Gibb. 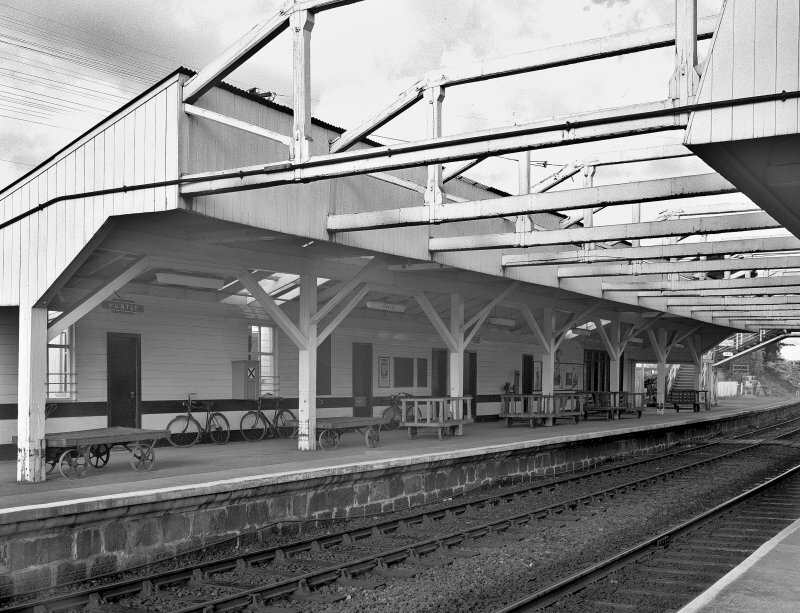 For Great North of Scotland Railway, an unusual carpentry forest of trusses hanging above both platforms and stretching across the tracks. Erased 2001. (Location cited as NJ 535 396). Opened 1854 by the Great North of Scotland Rly, engineer Alexander Gibb. A 2-platform through station with the main offices on the down platform. 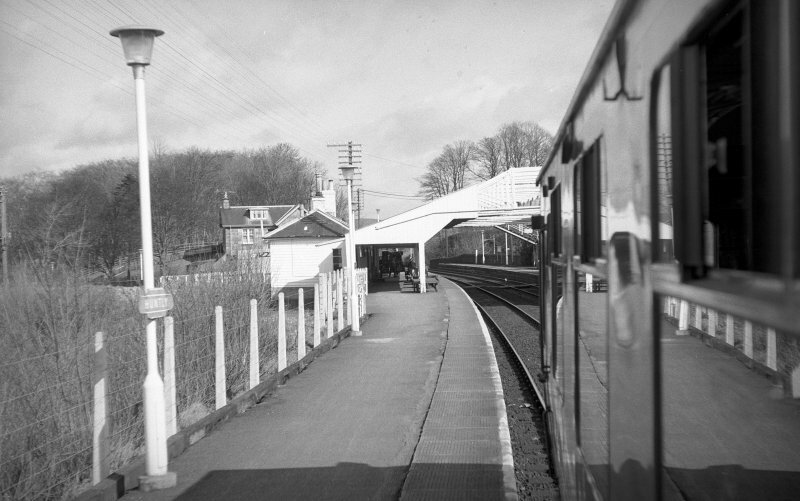 There is an interesting and unusual wooden roof, with trusses supporting awning over both platforms. 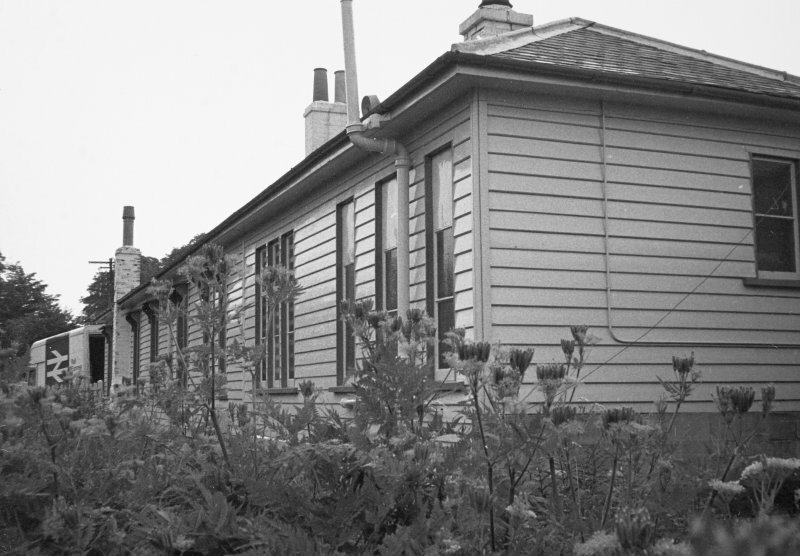 This intermediate station on the Aberdeen-Inverness (main) line of the (former) Great North of Scotland Rly. 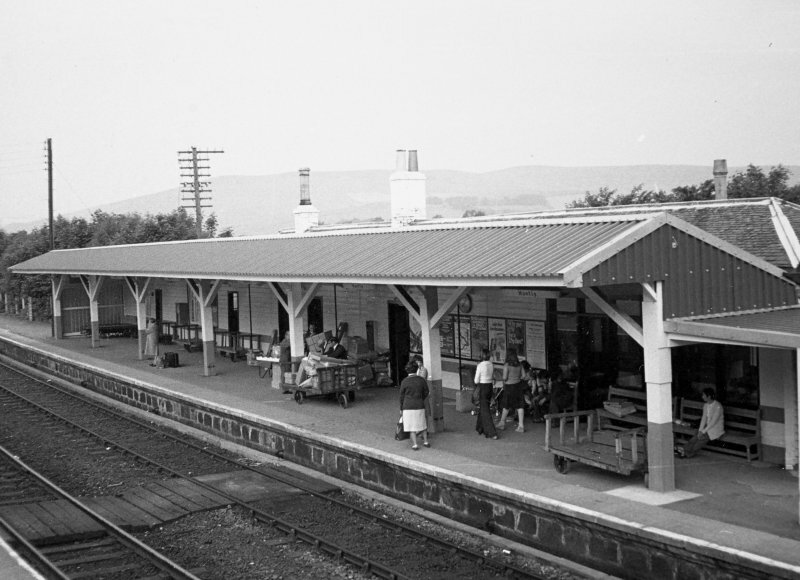 was opened on 20 September 1854 and remains in regular use by passenger traffic. This railway station has been modernised. 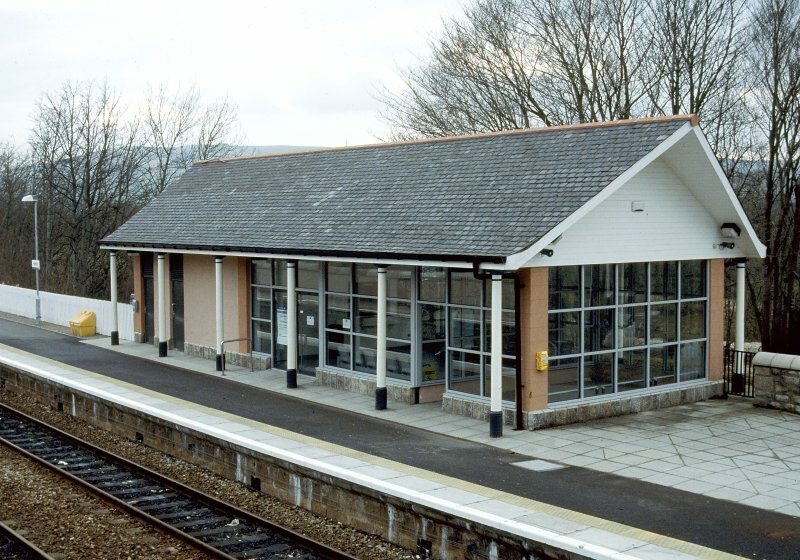 A late 20th century building has replaced the original station offices.